SYNOPSIS: A love letter to laziness starring a wonderful Philippe Noiret. He plays a simple farmer living on a sprawling estate in the French countryside. He hates working. He loves being lazy. But...his wife won't have it. She's on his back from sunrise to sunset. Every time he tries to grab a nap, enjoy some nature, watch a game of billiards she's there to scold him. Then one day (no spoiler here) she dies! Thus begins Alexander's new life. One dedicated to sloth. He stays in bed for days. Sends his best friend, a cute little dog, into the village with cash and a grocery list! Spends hours fishing. His colorful friends and neighbors worry about him and try to help. 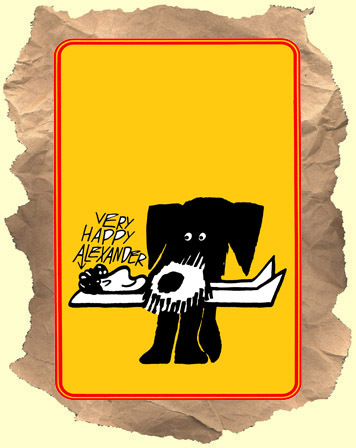 But Alexander will have none of it. He tells them that after decades of work he has a lot of relaxing to make up for. Pretty soon his friends start wondering why they have to work so hard..... Who can't relate to that? A perfectly simple human comedy with the perfectly cast Noiret as a man who sees freedom in laziness. Fine acting and direction. The beautiful French vistas are great to look at as well. Highly recommended! WIDESCREEN. In spoken French with English subtitles.